Operation Genesis – Promoting self confidence in inner-city youth. of Operation Genesis participants graduate from high school. of students have a greater understanding of the criminal justice system. 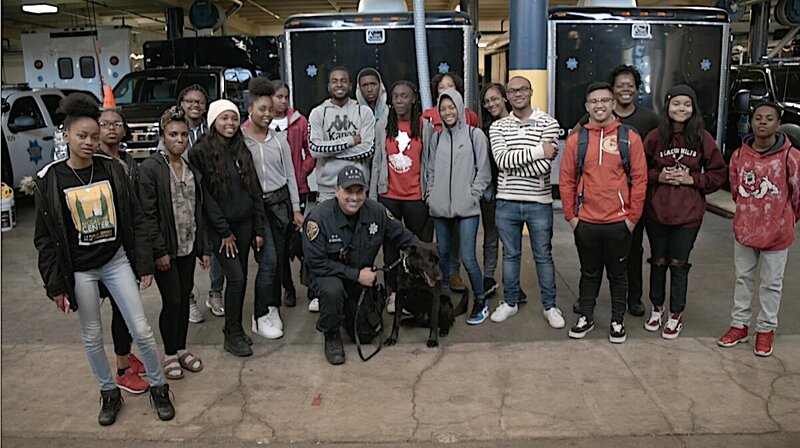 12 students from San Francisco Bayview district travel to Ghana, Africa for the first time. Watch how their lives change from this amazing journey. ABC 7 covers the story. I found myself. I am a changed person. The trip to Ghana made me realize I owe my mom an apology. I have not been taking school seriously. I’m going to get my high school diploma because I want to make my mom proud of me. I feel like I learned from this trip. I found my self worth as a person. I learned that I wouldn’t be here today were it not for my ancestors being so strong. I want to be strong like them. After the trip to Ghana, I looked at myself and saw somebody. If I step up and do what I’m suppose to do then I can be somebody,…and, I can help people around me be somebody. Put a young person on a path to success. Help our students advance their position in life and break the cycle of generational poverty.